We’ve been finding ourselves lost on the Tanzanian coast recently, and don’t ever want to leave. It’s this feeling of being cast away on shores of Africa in countries like Tanzania, Mozambique, or Kenya that is truly magical. The feeling is nothing like the beaches of Greece, Jamaica, Thailand, or even Zanzibar. When you find the right beach in Africa you feel as if you’re truly exploring. We found that at Ushongo Beach. 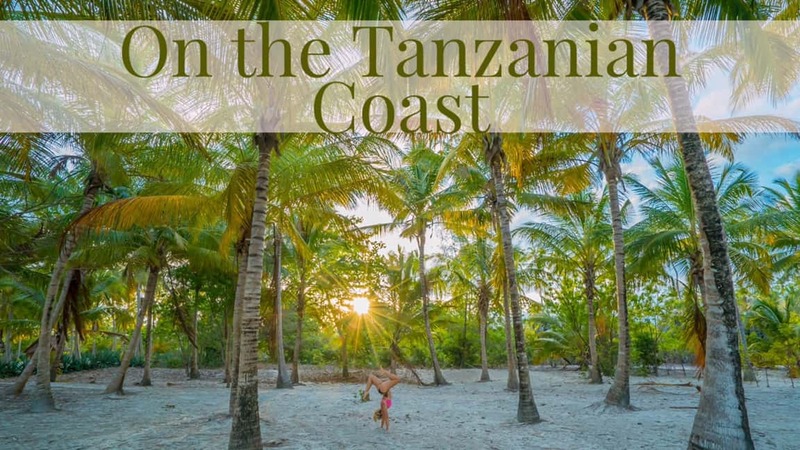 The Tanzanian coast is plentiful with dhows, white sand, aquamarine water, and thousands of palm trees. It all means you’re never too far from fresh fish, a tranquil spot to relax, refreshing water, and a coconut water. In other words, it is our happy place. 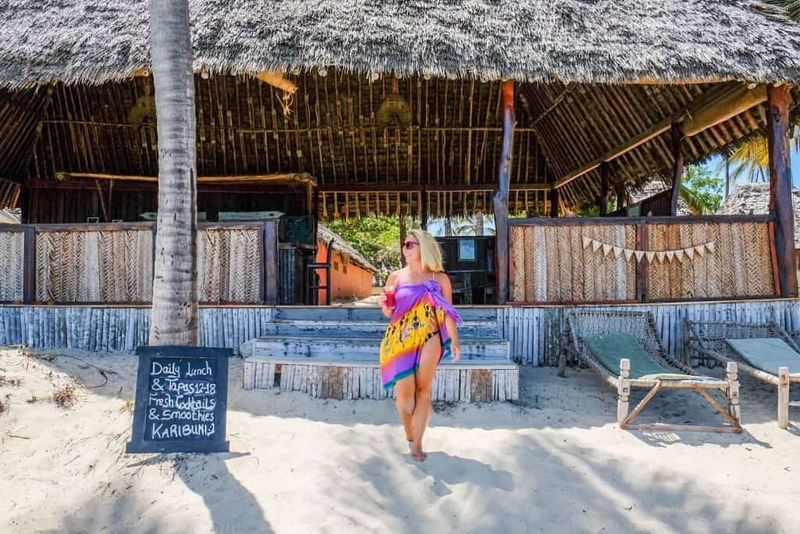 We spent a large amount of time soaking up the island sun on Zanzibar, but we just weren’t ready to leave the beaches of Tanzania. So we set our sights on something with fewer tourists and more silence. This is the exact appeal of Ushongo Beach and The Tides Lodge. 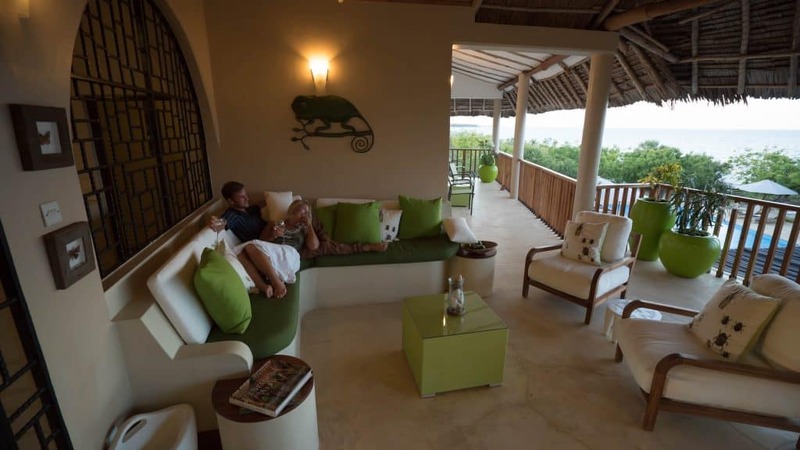 After scooping up a new travel partner we made our way to The Tides Lodge on Ushongo beach near Pangani. A collection of seven beach bungalows, and three suites/house laid out across the secluded beach. Each cottage is ensuite and spacious. We found ourselves waking up in the morning completely refreshed to the sounds of the ocean and a sea breeze. Our cottage had it’s own foot wash station because there is no need for shoes at The Tides Lodge. A private veranda and personal sun loungers built out on the beach is only steps away. 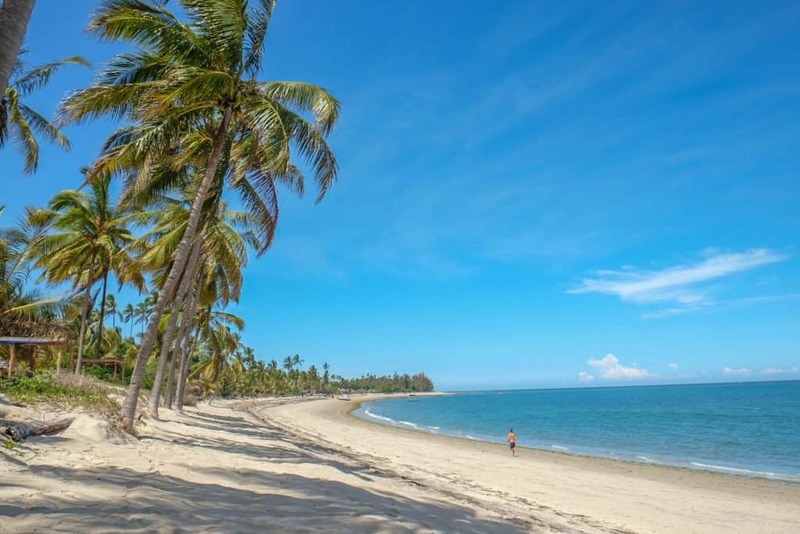 The beach itself is a large bay of white sand, flanked by palm trees, and filled with the inviting warm water of the Indian Ocean. When you make it to areas that are as remote as The Tides Lodge you don’t want to be worrying about what’s for dinner. It’s a common theme in Africa for lodges to provide half and full board options. Breakfast at the lodge included fresh fruit juice, coffee, fruit salad, eggs, muesli, and menu items like huevos rancheros, a favorite of mine. While lunch items consisted of tapas and light bites that are perfect for those hot beach days with dinner being a fresh mix of seafood. With four days of beach time, we made sure to spend a fair amount of time lounging around but needed some activities as well. 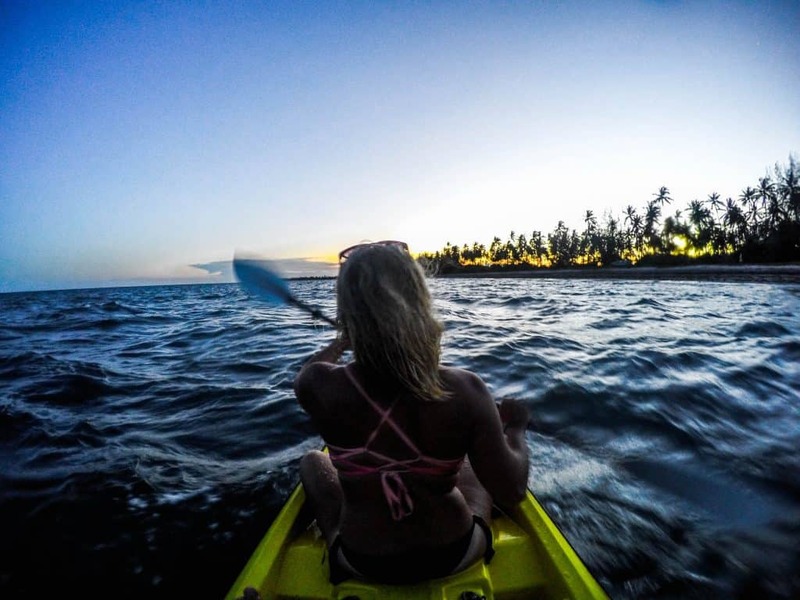 So we took off one evening with ocean kayaks and made our way out to explore the bay and nearby mangrove. The mangrove involved some paddling, but it was well worth the effort and we treated ourselves to some much needed Kilimanjaro beers afterward. The highlight of any trip to Ushongo Beach is Maziwe Island. Six miles out from the Tanzanian coast lies a small sandbar only accessible during low tide. This is one of the most beautiful islands off Tanzania. White sand spills across the top of a large coral reef that sits amidst a myriad of blues. 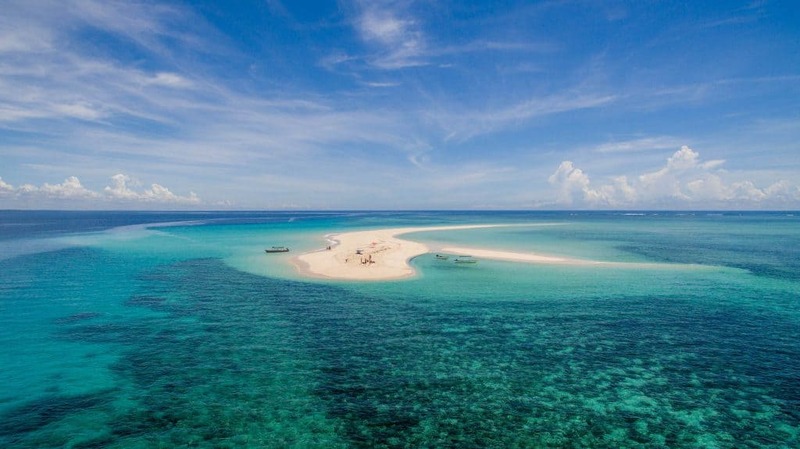 For $45 guests can catch a ride out to the island to spend the day snorkeling, lounging, and have a picnic on the remote sand bank. We got lucky and had the place entirely to ourselves, something you won’t find in places like the beaches of Zanzibar. As they say, a picture is worth a thousand words, so instead we’ve decided to share the island with a video instead. I dare you to watch and say you don’t want to go as soon as possible! Subscribe to our YouTube Channel for more adventures! Ever wanted to stay in a six bedroom villa that has a team of staff, private pool, and a stunning beach as its backyard? Yea, so have we! That’s exactly what happened when we checked in to Mawimbi Villa off the Tanzanian Coast. 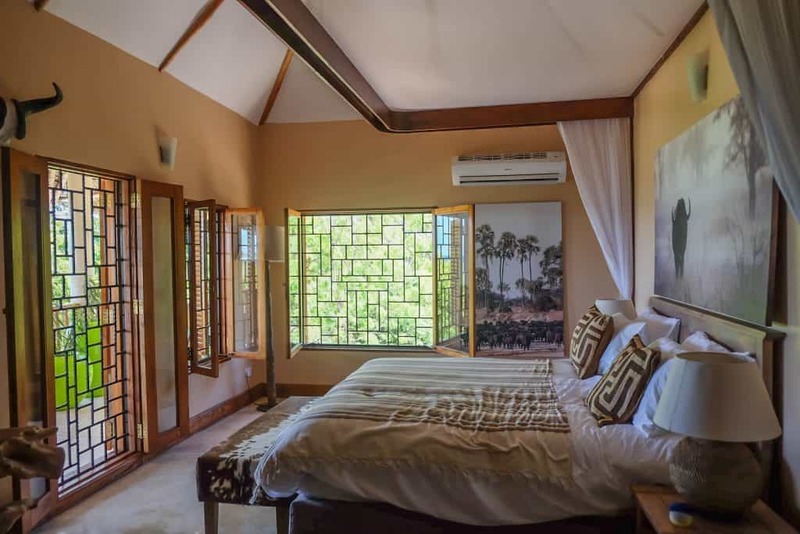 The villas six bedrooms are all beautifully decorated and each room draws upon a theme of nature. We stayed in the “Buffalo Room” or the master bedroom which featured decorative elements that all came from the famous big five animals. Each room had two entrances, one from inside the house and another facing out to the exterior wrap around deck. Every room faces the sea and has this feature, so you could say there is no bad room here. One of the best ways to spend the weekend at Mawimbi Villa is with a glass of wine in hand in one of the two lounge areas in the villa. Our personal pool came with our staff delivering drinks and some cool floating Bluetooth speakers that connected to my music library on my phone. Coconut water? Check. Private Pool? Check. Music? Check. I was set for a solid afternoon to relax and take in the beautiful coastline. To make matters only better the food at Mawimbi Villa is delightful. Many dishes take inspiration from the sea and the chef is quick to meet any necessary dietary requirements. It’s recommended to try and steal their passion fruit ceviche because it’s possibly one of the best seafood dishes we’ve had in all of Africa. The most enticing element of Mawimbi Villa is it’s all inclusive price point. 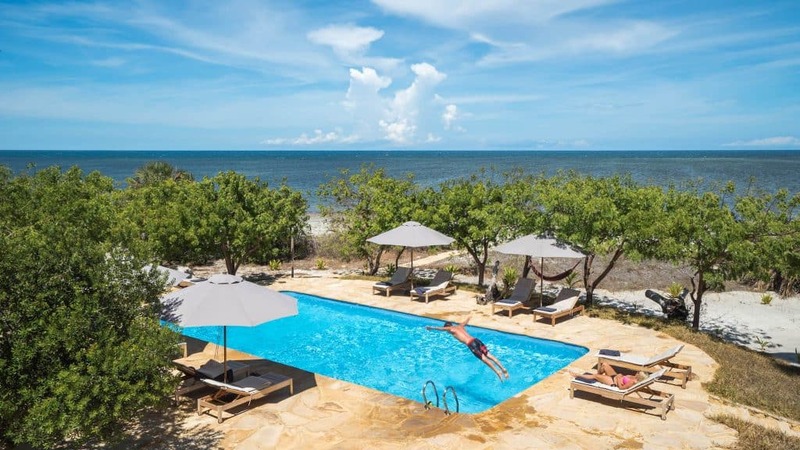 It’s perfect for a group of friends or family looking for an escape on the stunning coast of Tanzania. The villa can sleep 12 and no matter how many people are staying the price point remains the same with a full set of staff, food, and drink all included in the price. I’d wager it’s difficult to find that level of service for that many people anywhere else along the coast. 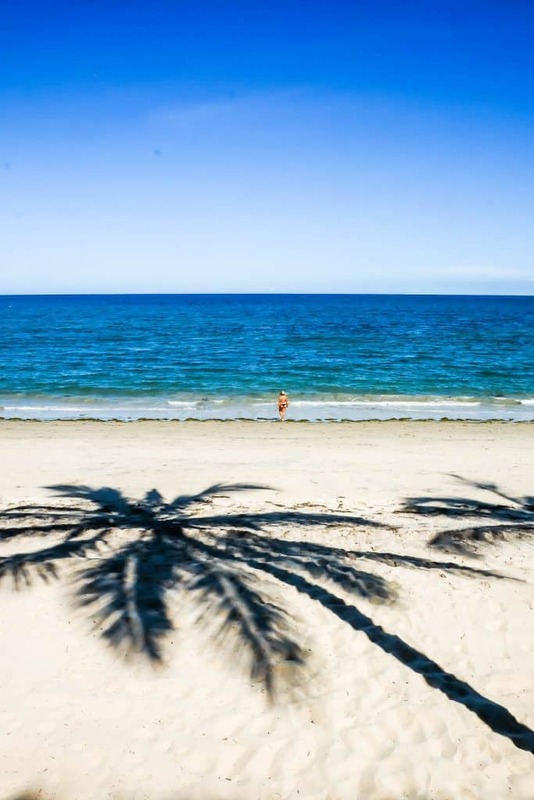 We can’t seem to get enough beach time when it comes to the coast of Africa. Every time we travel to a new place we’re blown away by its beauty. We’ve spent time in the sand dunes of Mozambique, sipping cappuccinos in Cape Town, and even chasing sand dunes on a road trip through Namibia. 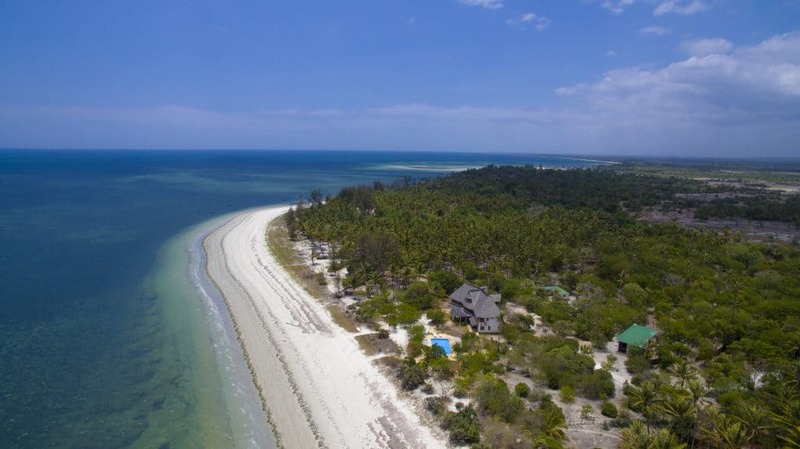 Ushongo Beach and the properties we stayed at there are gems along the coast of Tanzania. It’s the kind of place you leave and wonder why more people aren’t there. 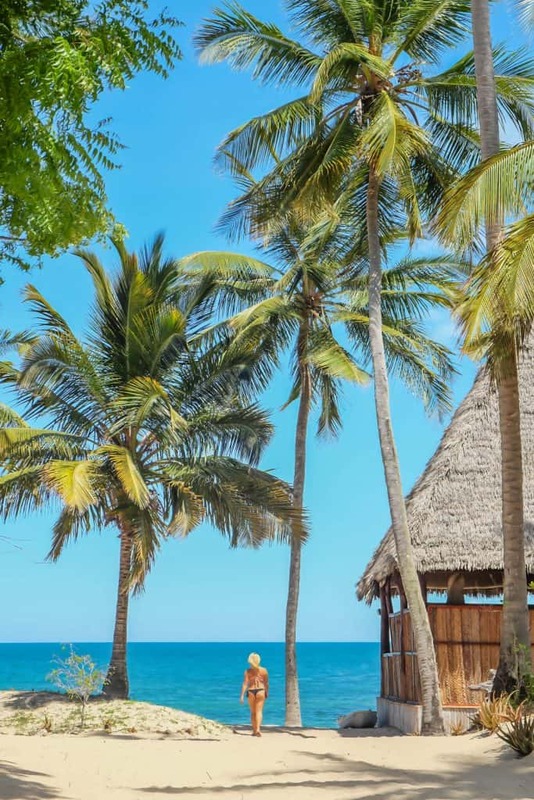 Africa’s beauty continues to bewilder us, it’s just a matter of time until the rest of the world is clambering to explore more and more of its riches, the tranquil coastlines included. We just hope they remain untouched and delighting visitors as always! Pack Right: Make sure to read up on what to bring to the beach before you leave. Travel Insurance: We never travel without travel insurance with World Nomads. We ALWAYS travel with travel insurance. World Nomads offers incredible flexible and great plans! Guide Book: Sometimes it’s nice just to have a real book in your hands when traveling. We recommend picking up a Lonely Planet to get you through the wireless nights. How To Get to The Tides Lodge? 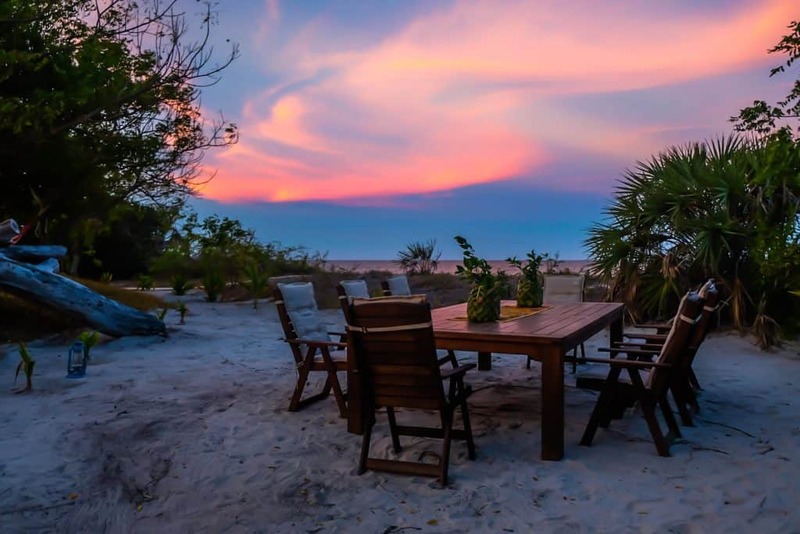 : The Tides Lodge and Mawimbi Villa are a few kilometers apart on Ushongo beach. They are both serviced by a private airstrip. With daily flight connections possible to the Mashado airstrip getting to the lodge is a breeze. For booking inquiries contact The Tides Lodge or Mawimbi Villa.